This course consists of four (4) 5-7 minute modules, a printable FAQ, online quiz and certificate. 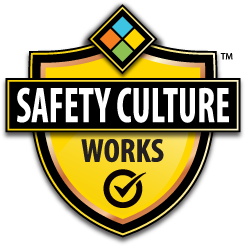 The Safety Culture Works Program is a series of 30-minute online courses that provides you with an in-depth look at how to reinforce the positive beliefs, attitudes and practices that keep everyone at your workplace safe. Each lesson is delivered as a short video lasting 4 – 6 minutes. On completion of the course there will be a summary and 10 question Quiz. In order to be issued a Safety Culture for Employers Certificate, you will need to score 80% or above. If required, you can retake the Quiz. A printable Safety Culture for Employers Certificate will be provided after successful completion of the course for your records. The contents of your course really drove home the importance of Culture … and I believe it would benefit employees in all sectors to have this training. I am very impressed with the quality of the program and how you get directly to the point without boring one to death like many other online programs. This program is tailored for every industry … and is the perfect stepping stone for newcomers into any workplace… and is also a great reminder for those seasoned veterans and senior managers out there who have tight schedules and phenomenal responsibilities on their shoulders. If anybody has fallen off track, this program will certainly place them back on the rails… the safety culture messages are delivered perfectly … it is one of the best I have ever participated in and thank you for getting it right! William J. Zukiwski, President & Managing Director, Global Technologies Transfer & Training Inc. I found the content to be very informative and the presentation format to be extremely effective at providing a thorough understanding of Safety Culture. I truly believe the message will have a profound impact on reducing occupational incidents…. The online course provides the employer and employee with the information and tools needed to understand their rights and obligations in the workplace without getting bombarded with the legalese often associated with safety training… This course takes Safety Culture from just being a safety buzzword or concept to being the way to do things right, every time. Jeff Pope, HSSE Representative, SBM Nova Scotia Contractors Inc.
Cliff Langin, President, East Coast Mobile Medical Inc.
We are always searching for innovative safety products and services, and have found your online Safety Culture 100 series to be the best digital training program we have used… We are now making your course mandatory for all of our new staff as part of our HR onboarding process… it should be completed by all workers in order to reduce workplace injuries throughout all industry sectors and supply chains. Your course will reduce workplace incident rates in any organization and/or industry that adopts it … the keys to adopting a strong safety culture are evident in this course.